The Wilmington Blue Rocks are celebrating their 25th Anniversary Season this summer, and there will be fun for the whole family at Frawley Stadium from early April all the way through the first week of September. As always, the roster is stocked full of exciting young players who all have the potential to be the next Kansas City Royals star of the future. 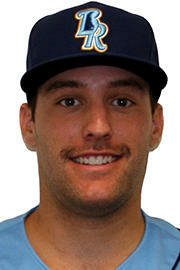 Jacob Bodner - P (pictured) - Bodner is the type of power pitcher that every major league bullpen covets. His fastball and slider are already good enough to play at much higher levels, but he needs to spend the first part of this summer working on his control. He should be able to generate some impressive strikeout numbers while in Wilmington. Roman Collins - OF - At the age of 22, it still looks like Collins has the potential to become a fourth outfielder on a big league roster, but this one-time NJCAA Player of the Year will need to show some improvements in his hitting when given the opportunity in Wilmington this summer. Foster Griffin - P (pictured) - Griffin was a popular pick to take the next step in his development last year, but that didn&apos;t exactly happen like it was supposed to. He is still young enough to develop into a major league caliber starting pitcher, but he will have to show improvements in both velocity and his secondary pitches this year. Elier Hernandez - OF - This 21-year-old outfielder is blessed with the raw tools to command $3 million from the Royals on the international market, but those tools have not developed they way the front office hoped they would. This could be a make or break year for Hernandez following a tough 2015 campaign. Cody Jones - OF - At 23 years of age, Cody Jones has reached a point where he needs to advance to Double A this year if he has any chance at ever making it to the big show. He demonstrated that he can hit for power in his time at TCU, but has yet to look anything but overmatched here in Wilmington. Anderson Miller (pictured) - OF - The knock on Miller has always been that he just isn&apos;t big enough to mature into a big league hitter. However, he has demonstrated a level of power that is impressive for his size, and he also has plenty of speed to back it up. 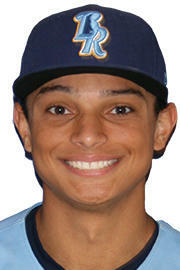 He is likely going to be the most exciting of the outfield prospects in Wilmington this year. Colin Rodgers - P - This 22-year-old has never been able to stay healthy long enough for the front office to get a decent grade on how his pitching is progressing. He looks to be coming into this year healthy, and staying on the mound is the most important thing for his development at this point. 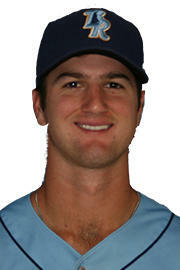 Jared Ruxer - P - This 23-year-old is a former 12th round pick after recovering from Tommy John surgery while in college. It&apos;s not yet clear whether he will develop into a reliever or a spot starter, but we should see some indication of that based on how he performs this year. Whether you plan to watch the Blue Rocks regularly or just visit on one of these awesome promotional nights, there is no doubt that the baseball in Wilmington this summer is going to be exciting. See you at the ballpark!